The Arthur family ( Henrik, Olga, Heather and Kristophe) are playing Bridge at the dining table with a standard deck of cards. How many hearts are at that table? there are $4$ human hearts. four (I assume) humans, that have one heart each... except that the two women could be pregnant (take into account every possibility! ), and with humans twinning is reasonable, but triplets are pretty rare, so I would say up to 8 human hearts. The text itself! The Arthur family has a cleverly hidden heart, and there are enough letters in the other names for 2 more, adding these to the human and card hearts are 87+8+3 for a grand total of 98 hearts. 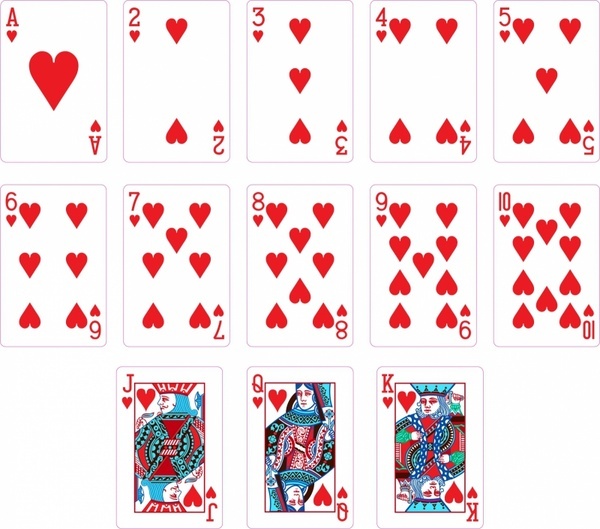 I think this is a stretch, but the fact that there are 52 cards in a deck also looks like a heart( ), so that would make 99. Octuplets have been born a few times, so you could have 4+8+8=20 human hearts for a grand total of 110, but at that rate do you count multiple births higher than eight as long as they can have a beating heart in the womb? That's why I consider this a ridiculous option. How many decks are represented? How many hearts did those ladies steal? "Every possibility" might consider the vermin hiding under the table or the table itself could have an array of hearts. Heart wood? Carved hearts? The table cloth could have hearts on it. The tableware or China, as well. The core principles, here, are that hearts of various sorts abound and not narrowing the field unbounds the total.